Switzerland is such an awesome place. There are few freeriders who haven't got at least one mesmerizing story to tell about shredding in Switzerland. It’s one of those places, not dissimilar to Alaska or BC that invokes so many emotions of knee deep powder and jagged mountains. There are a few spots, in particular, that couldn't be missed off any list that uses the words “Heli-skiing” and “Switzerland”. Also, there are a few spots that wouldn't necessarily be the first to spring to mind. Nevertheless, there are 4 spots that we wanted to share with you adventurers to inspire you on your next trip. Arguably the most iconic mountain in the Alps. The awesomely varied landscape that surrounds the peak, matched with some almost due north facing slopes means Zermatt is a top choice for newbie freeriders and diehard riders! 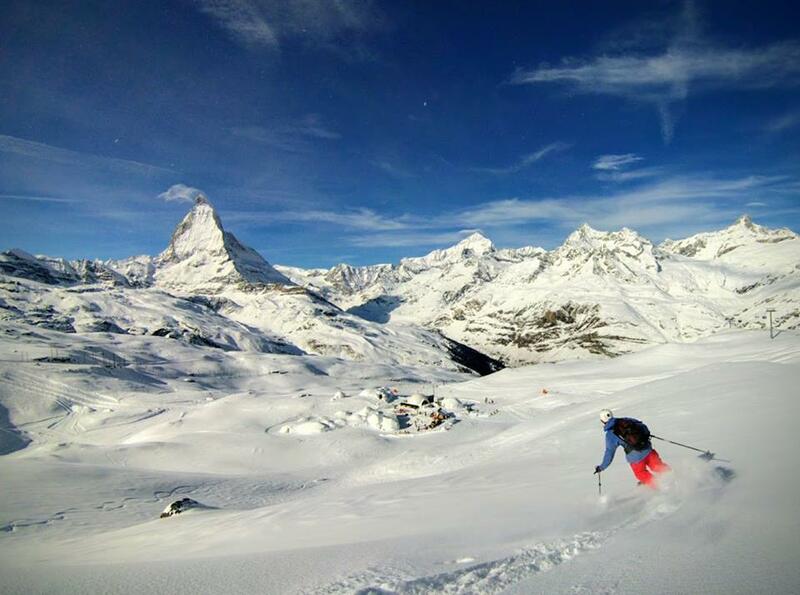 Heli-Skiing in Zermatt is a special experience indeed and one that is wonderfully varied. Of course, one may be tempted to discover the faces around the Matterhorn itself but the surrounding areas of Zermatt are also well worth considering.This article is focused on Switzerland but if you fancied hopping over the border for a little of the “La Dolce Vita” then take the chance to do a few drops around the Monte Rosa in Italy. Enjoy the amazing powder around Gressoney and Champoluc then stop of a traditional Italian mountain lunch of Zuppa Valpellinentze or a platter of delicious local meats and cheeses or pizza or pasta but we digress; a heli-ski experience in Zermatt encompasses so much culture, landscape and evocative experiences. Heli Ski Provider: The services are run exclusively by Air Zermatt who are responsible for heli-ski drops, sightseeing trips, mountain rescue and much more. Founded in 1965 they have been looking after skies over the Matterhorn for a long time. Prices: Ranging from 390CH to 490CH including the guide, depending on where you drop. Undoubtedly you wouldn't be surprised to hear that Verbier has been dubbed the freeride capital of the alps and justifiably so! 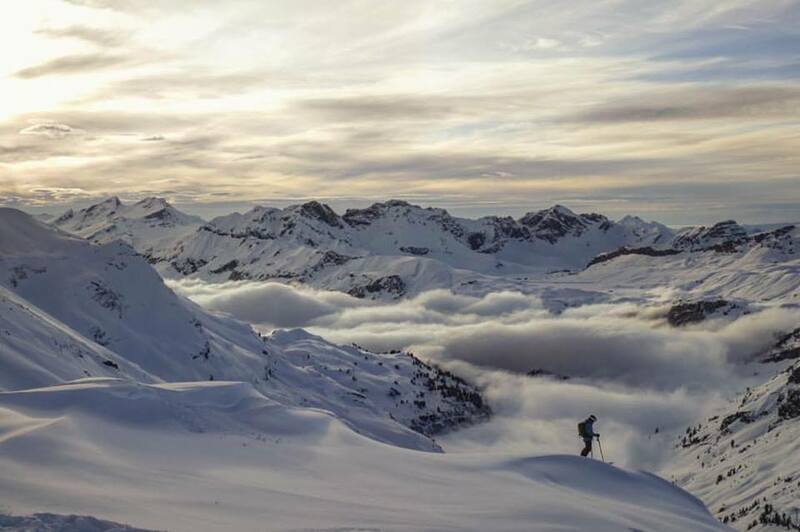 There are 4 major peaks for heli-skiing drops, Petit Combin, Rosablanche, Trient glacier and Pigne d'Arolla all of which are as amazing as the last, providing an ore inspiring backdrop, perfectly maintained powder and an experience to remember. With Verbier being such a famous spot, many freeriders opt for a ride away from the crowds which makes heli-skiing a really popular activity. Guides can cater for all levels which means you will get a unique, bespoke experience. Not to mention you will get higher than the faces that are home to the Freeride World Qualifiers competition AND the Freeride World Tour. Think Bec De Roses but less pointy/Sharkey and more open spaces. Heli Ski Provider: Trips are run by Le Guides De Verbier who can help you with one drop trips, multiple drops, day trips and large groups. The guides also specialise in heli-skiing and touring combined trips which makes for a cool all-rounded experience. Prices: Ranging from 1480CH to rent a helicopter to yourself to 385CH for 7 pax. Rates from combined heliski and touring trips are upon request. Engelberg isn't exactly a secret destination, but it certainly stands in the shadow of Switzerland's better-known spots. However you can experience “Dream departures from the Sustenhorn or from Rosenegg in the Berner Oberland” according to the guide's website, these peaks provide untracked, fluffy powdered faces for days. Engelberg is set in a valley in central Switzerland, under the watchful eye of Mount Titlis making the terrain varied and interesting. You will find drops will be better value for money and unlike places like Verbier, you won’t have to fight for first tracks on your drops! 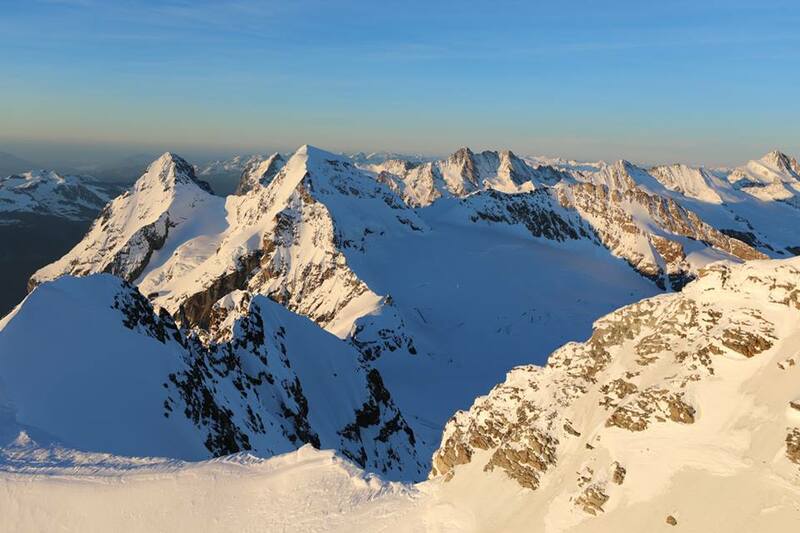 Heli Ski Provider: The main provider we found online was Engelberg Mountain guides who seem like a really friendly bunch who are providing a personal service depending on the group's ability and requirements. Prices: Find drops 350CH for per drop to 2280CH for the multiple drop run for a group. Grindelwald, it seems is a town built on the stuff of dreams. As free-riders who are interested in POWDER and little more, we don’t necessarily prioritise the general “Vibe” of the town, over say, the quality of the snow but Grindelwald is in a league of its own. Made for Instagram or the cover of a chocolate box, it’s hard not to be seduced by the Jungfrau region at the basin of the mesmerizing Eiger. The Jungfrau region is unlikely to be your first thought when you think about Heli-Skiing in Switzerland but it should be moved to the top of your list. Heli-skiing in Grindelwald is a hidden treasure and a descent here is not an opportunity you should ignore. With a jagged and harsh looking landscape, mixed with the idyllic nature of the town you have a really cool combination. 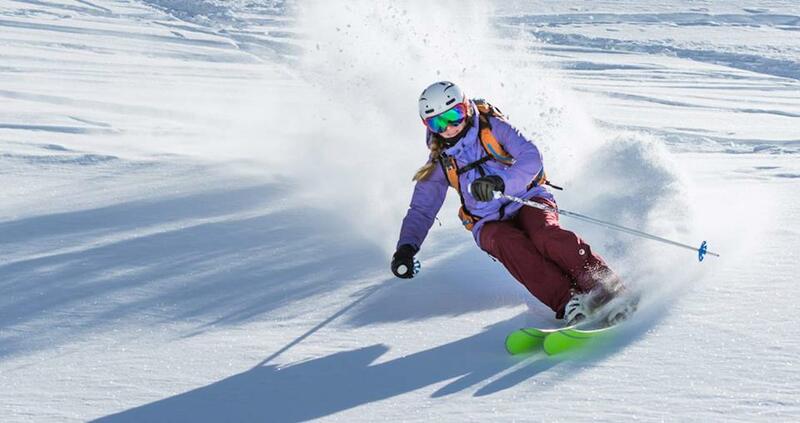 Heli Ski Provider: Altitude ski & snowboard school offer organised descents. You can book through their website and email them for more as sadly it was a little lacking. Prices: Based on 4 people sharing, one decent will cost around 375CH and a 2 drop trip will cost around 490CH. There you have. Some excellent spots, well worth a visit. Hopefully, you found this article useful with just a little of the research done for you. Grab your equipment and discover the Swiss Alps for yourself. Remeber to like, comment and share and feel free to send us your images and news of adventures you have experience in Switzerland, we would love to spread the word! Until next time.